Striking a pose to make a difference! An innovative and powerful hate crime exhibition and set of posters involving lots of volunteers from across the North West has now been launched by the Ministry of Justice (MoJ). The Race Hate Awareness & Prevention (RHAP) project based at Preston & Western Lancashire Racial Equality Council produced an exhibition as a national free resource for organisations wanting to raise awareness around the impact of hate crimes as well as a series of hate crime posters to encourage reporting and to act as a deterrent to committing such crimes. Hate crimes involves targeting someone because of their sexual orientation, transgender identity, disability race or religion and belief. Laura Geraghty from RHAP said “the exhibition explores the impact of hate crimes on the lives of individuals using real life case studies as well as looking at Criminal Justice organisations responses to it. We are so grateful for the diverse range of volunteers all giving up their free time to be involved in this exhibition”. The exhibition involved individuals and groups from Lancashire Care Trust, Sophie Lancaster Foundation, Disability groups and Lancashire Constabulary amongst many others. 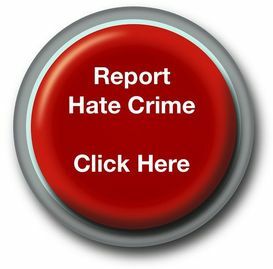 Clive Taylor Equality and Diversity Lead, Lancashire Care NHS Foundation Trust said ‘Staff at the Trust wanted to be involved in the project to support a great initiative that promotes messages about reporting crime based on discrimination. For us the project mirrors some of the work we do in the Trust to ensure that patients can use, and staff can work within, services that are accessible and welcoming to all mindful of their personal diversity. The Ministry of Justice saw their previous anti-racism exhibition and saw the engagement and format as good practice. They then worked together to produce the wider hate crime exhibition for national organisations.